Various nonverbal behaviors – often referred to as nonverbal immediacy - of both human and virtual teachers have been shown to play a crucial role in student learning. However, past literature provides limited evidence of the effect of a virtual agent’s vocalization, as a nonverbal immediacy cue, on learning outcomes. Even less is known about the effect of nonverbal immediacy on learning when used in conjunction with virtual behavioral modeling. Earlier research provides evidence that virtual behavioral modeling could be an effective instructional method to facilitate learning in multimedia learning environments. The current work investigated the effects of a virtual model that used stronger vs. weaker vocal nonverbal immediacy on affective learning and cognitive learning (both perceived and objective). The operationalization of the virtual model’s vocal nonverbal immediacy has been realized by manipulating the agent’s vocal parameters of pitch and speech rate. 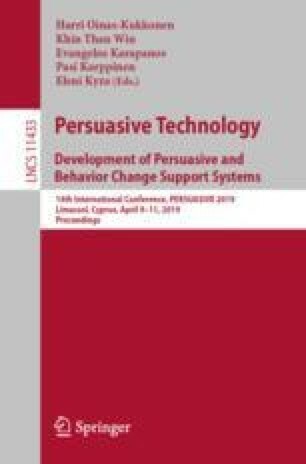 We predicted, that a virtual model with stronger vocal nonverbal immediacy (i.e., higher pitch and faster speech rate) would be more effective in influencing individuals’ learning outcomes, as compared to a virtual model with weaker vocal nonverbal immediacy (i.e., lower pitch and slower speech rate). In accordance with our hypotheses, results revealed that participants who received instructions from a virtual model that used stronger vocal nonverbal immediacy showed greater affective learning, and increased perceptions of learning. Support was also found for an effect on participants’ recall. Results and implications of the study’s findings are discussed.